You know what’s almost as delicious as this food truck? Seeing something you designed driving around town on the side this food truck! 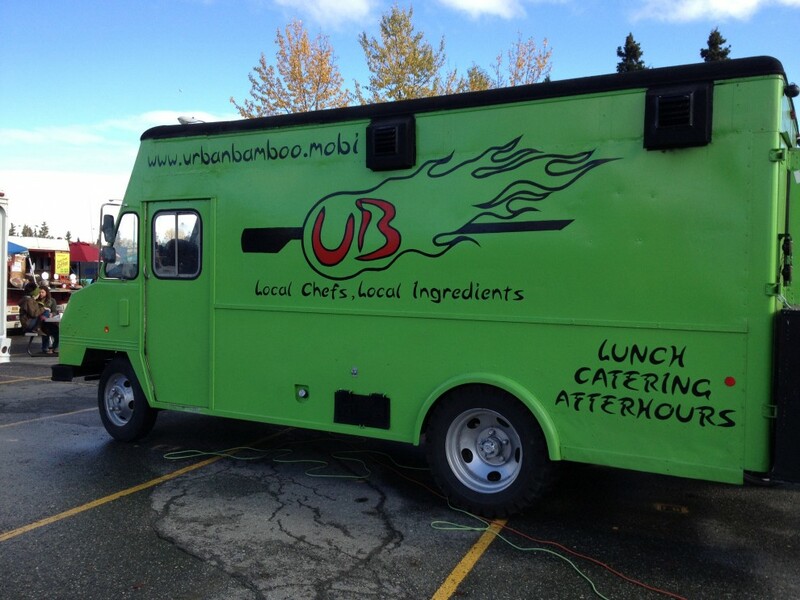 The owners of Urban Bamboo came to me this spring to seek my help digitizing a logo design they had sketched for their tempenyaki food truck. They are the masterminds behind the look, I was more of a technical geek in this project than a creator. I recently saw Urban Bamboo at the final Spenard Farmer’s Market of the season and took this shot. Find out more about Urban Bamboo here.